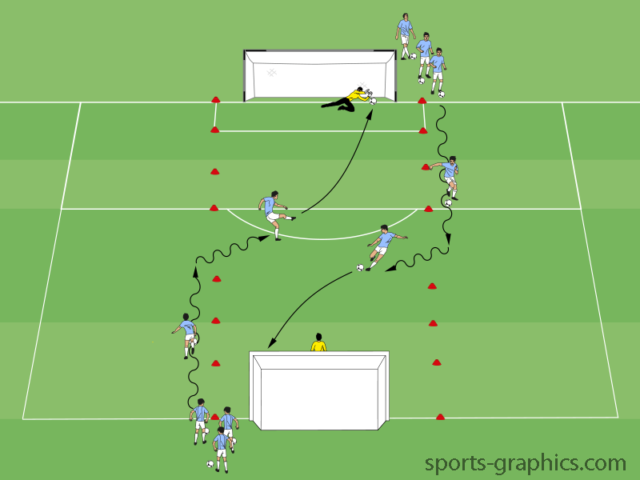 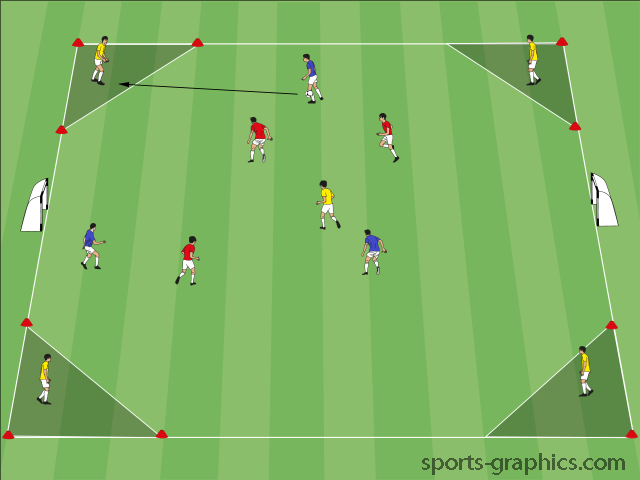 1v1 tag variations are a fun and competitive way to get players warmed up for practice. 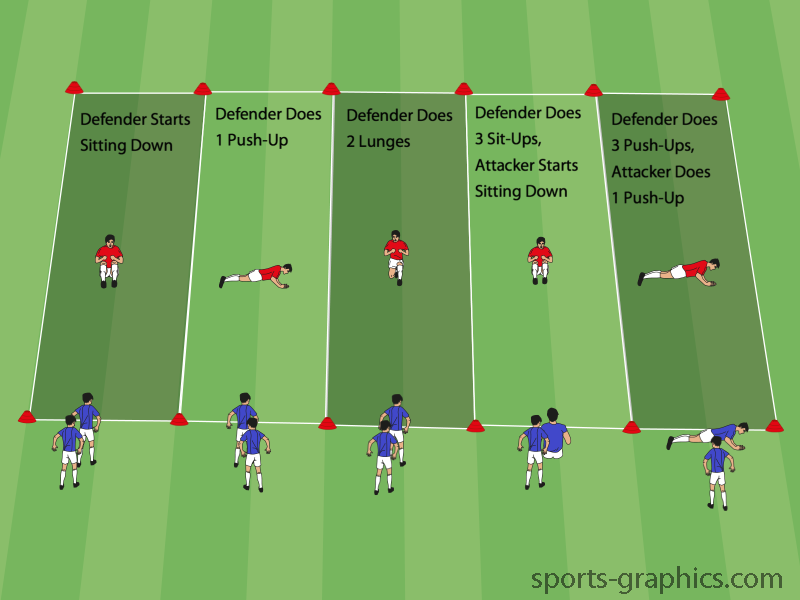 Players typically enjoy tag games and I’ve found that these are good to use following a general dynamic warm-up. 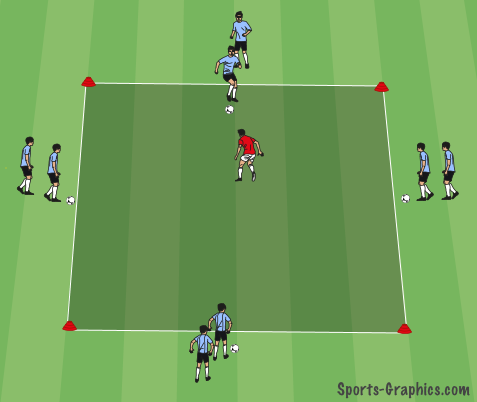 The four corner dribbling race is an excellent drill for young players to practice their dribbling skills, especially while moving at speed.